Thelma Alberts is passionate about baking and cooking and likes to get creative. She worked for many years in cafeterias in Germany. Family is very important in my life. Having a big family in the Philippines, we do share almost everything. It´s just like being married to a family, "in poorness and in wealth, until death do us part". Well, that´s in my family. There´s argument and misunderstanding sometimes but in times of problems and sicknesses in life, we still have a heart to help each other. The best thing that we do appreciate, is family bonding by having a picnic at the beach with those delicious Filipino foods that my late mother used to cook. It was always fun organizing the picnic and cooking together in our kitchen. One of the recipes that my mother taught me was making her crunchy spring rolls. 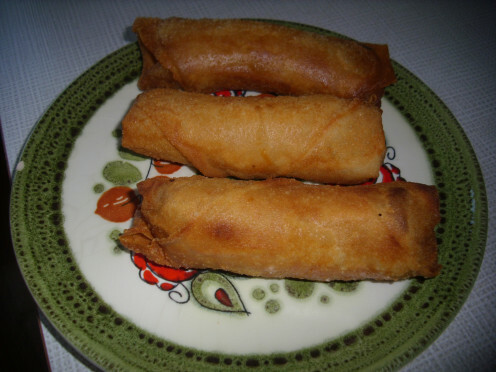 I call this recipe Pedia´s Crunchy Spring Rolls as my tribute to my late beloved mother. This is my mothers´ family recipe that I kept to myself for many years but now I will share it to you as a friend. Take note that if you have a lot of helping hands, the time you spend for making this finger food will be lesser than 2 1/2 hours. 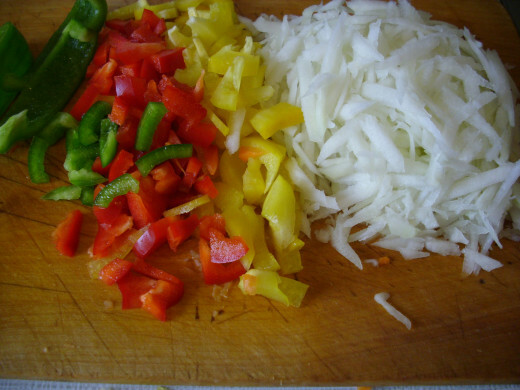 First thing to do is to wash, peel, seeds remove from bell peppers, slice and chop all the vegetables. Chop the garlic and onion. 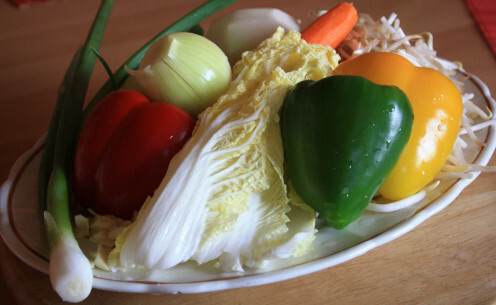 Slice the carrots, chayote, bell peppers and chinese cabbage into thin stripes. 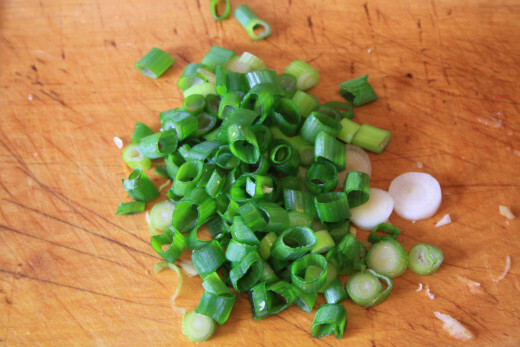 Cut the spring onion into small pieces. Heat the wok. 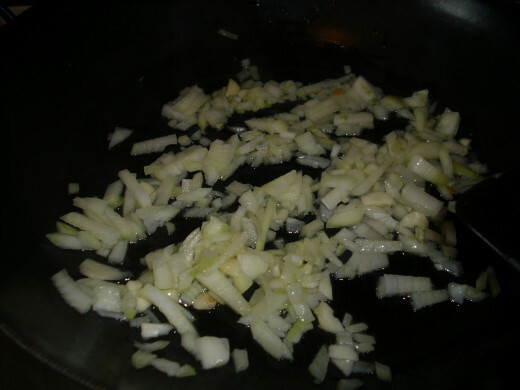 Saute the garlic and onion into the heated wok. 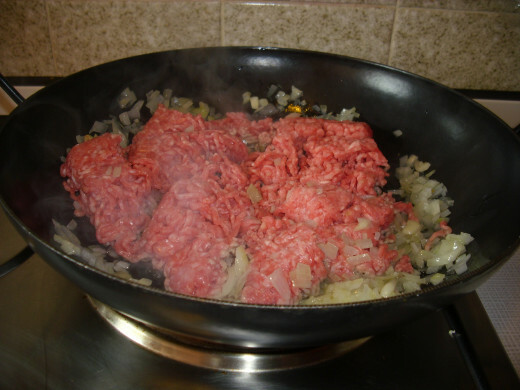 Add the pre-wash ground pork meat and stir it well. Leave for a few minutes. Stir every now and then until it gets a bit brown. Add the carrots and stir. Add the chayote, bell peppers, chinese cabbage and the soybean sprouts. Mix them well. Then add the chopped spring onions. Stir into the vegetables. Taste with salt, pepper and soy sauce. Set aside and let it cool for ca.10 minutes to be ready for rolling. 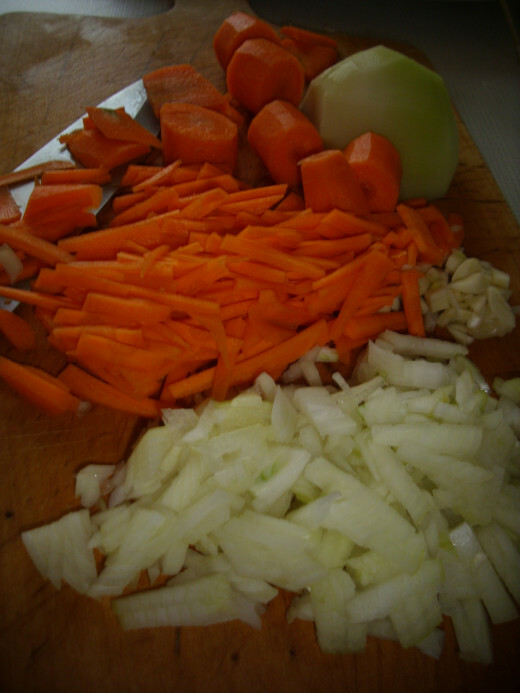 Note: The vegetable should be half done as it will still be fried in a friteuse or frying pan. 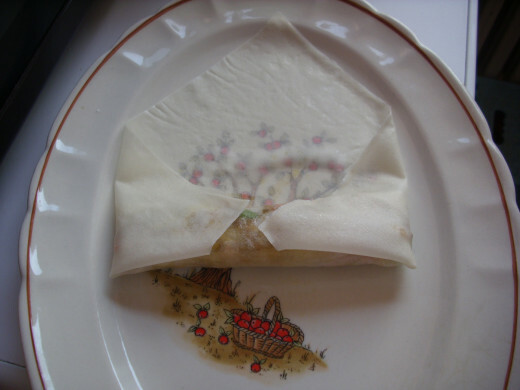 Put 1 piece of spring roll pastry on a plate. Put 2 tablespoon of the filling in the pastry. See the photos on the left side. 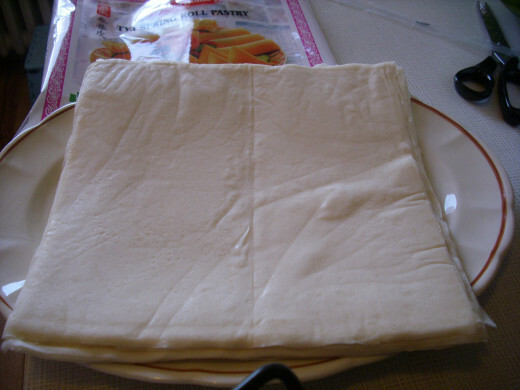 Roll the pastry with filling against you, then fold the right and left sides of the pastry inside the roll. Roll again and then sealed the end of the roll by making it a bit wet with water. Put the spring roll on a big plate as more rolls will follow. 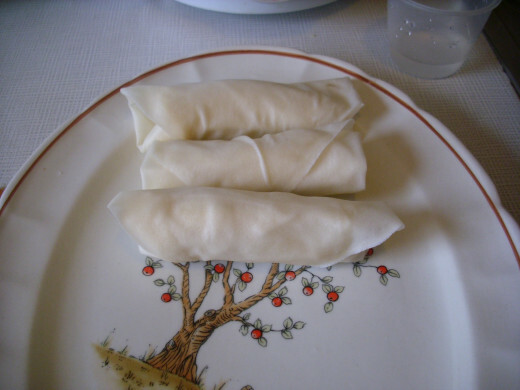 Make another spring roll one after the other and put them neatly on the plate. In this recipe, it will be 30 pieces big crunchy spring roll you can make. Now, we will do the final frying. Heat the friteuse to medium heat. Fry the spring rolls until they are golden brown. 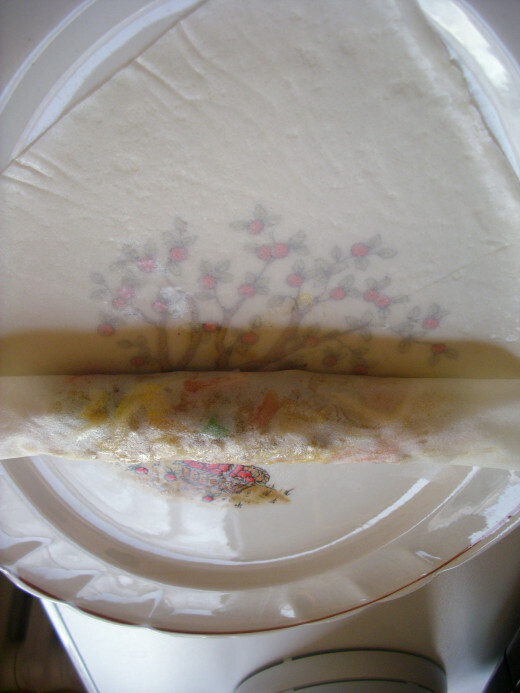 Put the fried spring rolls on a bowl with kitchen paper so that the remaining oil will come out. Let them stand on the bowl or a deep plate. When they are all fried, they are ready for eating. 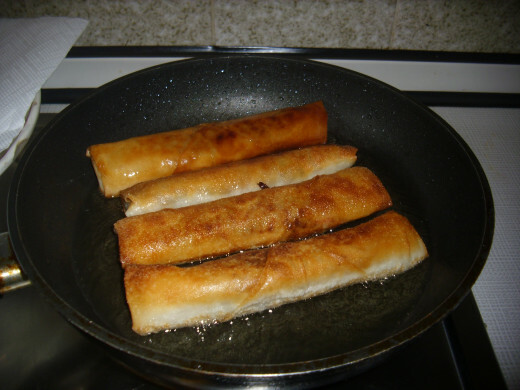 Serve the crunchy spring rolls with sweet and sour sauce bought from Asian shop. 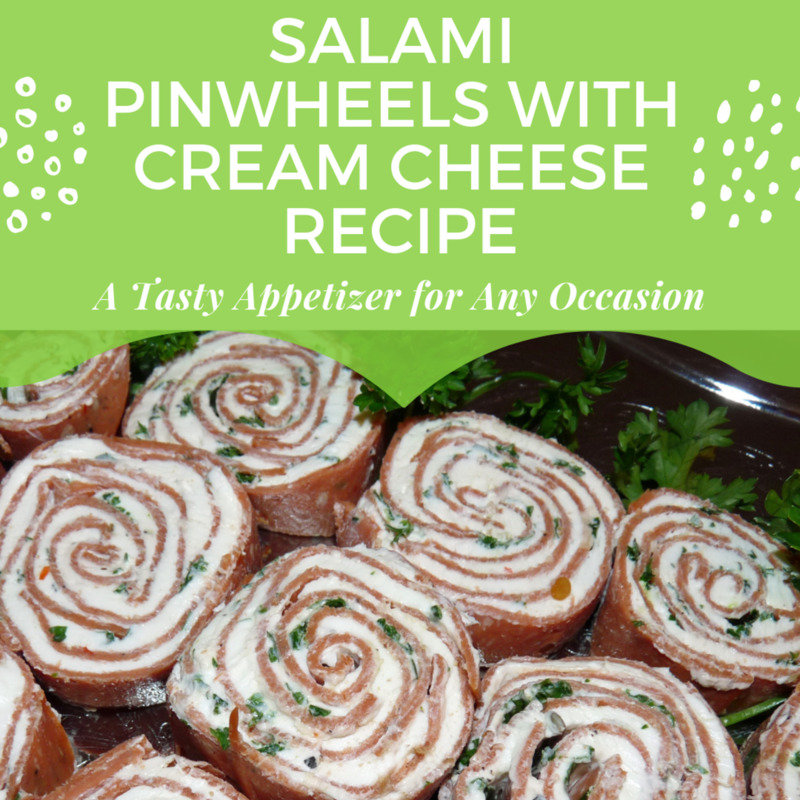 Let the members of your family or friends help you making this recipe so that you will spend less time in preparing and cooking this recipe. 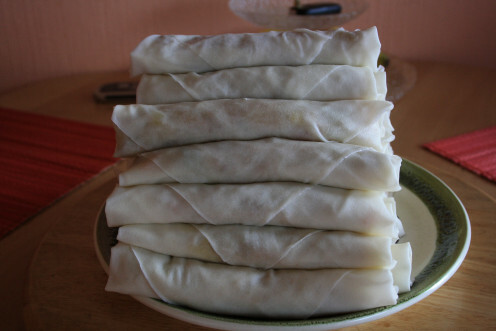 You can make 60 pieces of spring rolls if you use the small size of spring roll pastry. This is good for a finger food party. If you intend to make this recipe for only 4 persons, you can reduce the amount of the ingredients. If in case you have remaining pastry, use it for making a banana roll for a dessert. 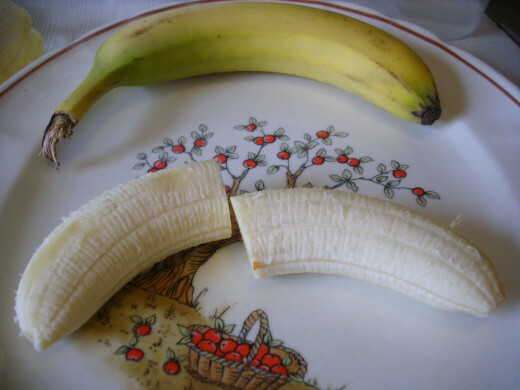 Cut the banana into half, crosswise. Roll the banana in the pastry just like the spring roll. Sealed with water and roll til the tip of the pastry. Heat the oil in a frying pan and fry. I hope it is not much work for you. As I say, let family or friends help you. Thanks for reading. Have you eaten crunchy spring rolls before? Have you been thinking about your age lately? No? Well,I do. This article is about how I keep myself healthy and I want to give these tips to everybody who thinks life is over now. It is not!!! If you are planning to bring your pet dog to the Philippines, this is the right article for you. This is about how you prepare for your dogs travel to the hot but sunny country Philippines. This article is about how I pack and send a Balikbayan Box to my home country, Philippines. A Balikbayan Box is a Filipino cardboard box luggage for sending goods to their families in the Philippines, tax free. Have you been to the stunning beaches of Puerto Galera? Well if not, here are some useful information you can have from my own travel to this beautiful and tropical paradise in the Philippines. This article is about my travel to Cebu City with my friends. How we were hold up inside the jeepney, how this Filipino hold upper ruin my/our days and how thankful we are that we are still alive. Thanks for dropping by Chitrangada. What do you put in your spring rolls? Please tell me how do you like my spring rolls. Have a great week. Spring rolls are my family’s favourite too. I do make it quite often. But this time I would love to try it the way you suggest. I liked your combination of ingredients. Thanks for sharing the helpful pictures and videos. I am so sorry for this late reply. I have just seen it. Yes, you can freeze the spring rolls you have. Happy hump day! Thank you very much. It is nice to know that they can be frozen - I really enjoy eating spring rolls - thank you. Thank you Prithima Sharma. Have a nice day! Hi Sallybea! Yes, you can freeze them after they were fried and remember to warm them slowly inside the oven while still frozen. Just freeze what is enough for your meals in a plastic or ziplock bags. Thanks for your visit. I appreciate that. That look really youmy - thirty spring rolls - maybe too many for me - can you freeze them - if so, would you do it after they were cooked or before? Hi Poetvix! I´m glad you stop by. 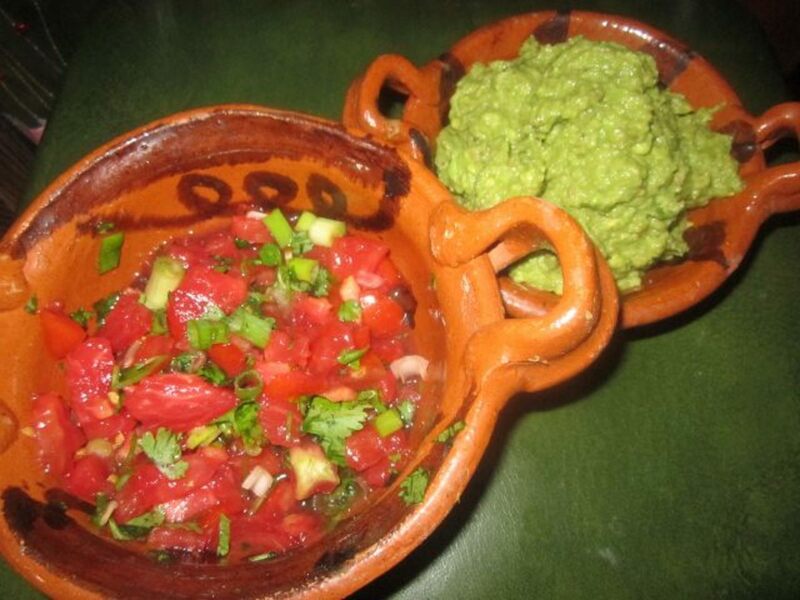 I hope you´ll try this recipe and let me know how you like it. Have a great sunday! 5 years ago from Gone from Texas but still in the south. Surrounded by God's country. I have never made these, but I saw the picture on my feed and just had to check it out. They look fantastic and the directions you give are clear so I'm going to give it a go. Yes, it´s yummy. I hope you´ll try it. Thank you ishwaryaa for your visit, pinning, sharing and everything. Have a lovely weekend! A tasty recipe! I am very fond of spring rolls. 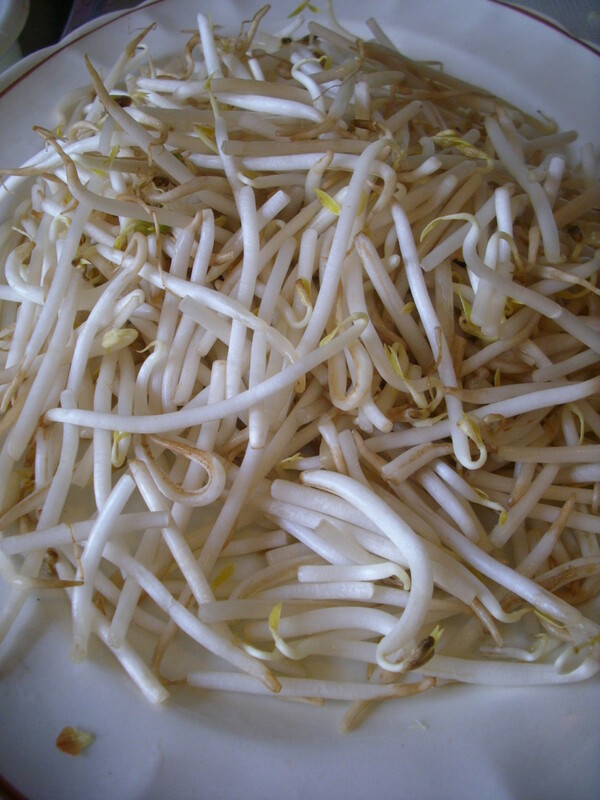 I like the idea of adding ground meat and soyabean sprouts. Banana rolls is a bonus recipe. Your clear instructions and drool-worthy photos made me want to give it a try. Rated your recipe 5 stars! Well-done! My all time favorite food no matter what time of the year. 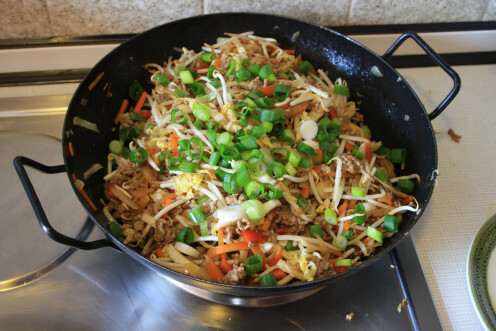 And it is best serve with "pancit noodles." I love it! Thank you for sharing our Filipino foods and dishes here. Thanks kingkos. I hope you´ll try this recipe. Have a great day, too! Hi lucybell21! I hope you´ll like the spring rolls. Thanks for stopping by. I wish you Good Luck for the New Year 2013. 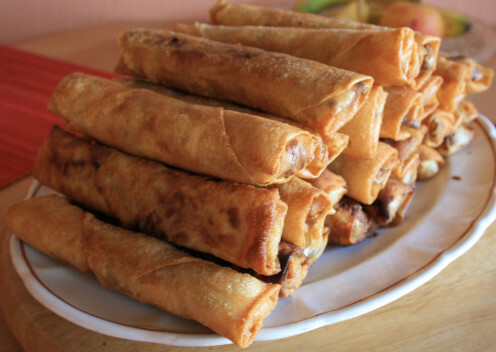 I really can't wait to make these, they look awesome, and i love spring rolls. Thanks for your visit rajan jolly. I appreciate that. Have a nice day! The banana roll looks delicious. 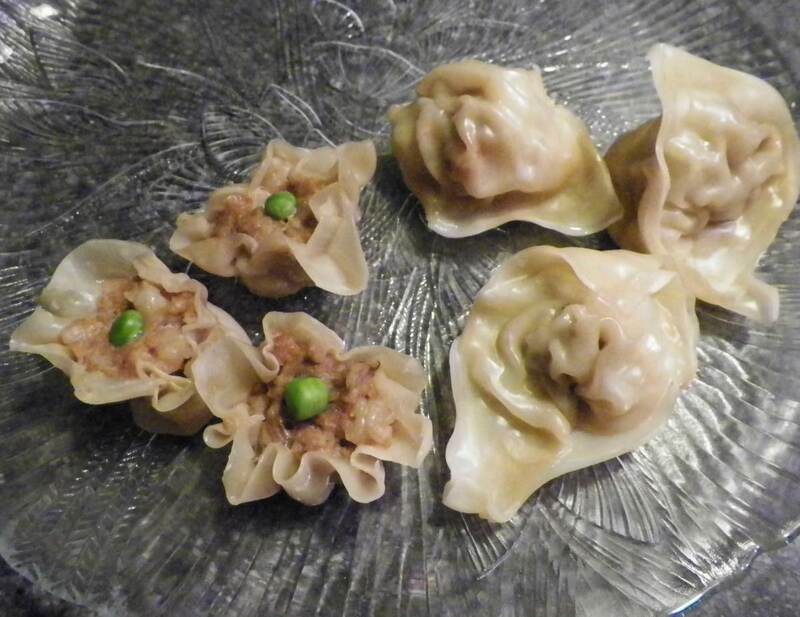 I like the idea of adding minced meat to the spring rolls. Thanks for sharing this wonderful recipe. You´re welcome Deborah. I hope you´ll try this recipe. Enjoy your weekend. These look so yummy! And I love the idea of making banana rolls with the extra pastry. Thanks for sharing your recipes. Sorry to hear about your flu. You associate spring rolls now with being sick. I understand that. Try to get over it by having a family meal with spring rolls on your menu. Good luck! Thanks for stopping by. Thank you Nicole S. It´s yummy! Try making this for your family party. Have a lovely sunday! It is delicious! Yep, I have tried this with Bratwurst, German sausage and another time with cut in small pieces bacon. Like you said, it´s a new twist to this recipe. I have tried this with chorizo, a spanish sausage and with Italian sausage as well. It´s another taste but still yummy. You have to try this Alocsin. Thanks for stopping by. I love eating Spring Rolls but have never fried them. Your recipe looks and sounds delicious. Would never have thought to make one with a banana. Sounds like a great dessert! Thanks for sharing your family recipe with us. Up, useful and will share. This lumpia sounds delicious. 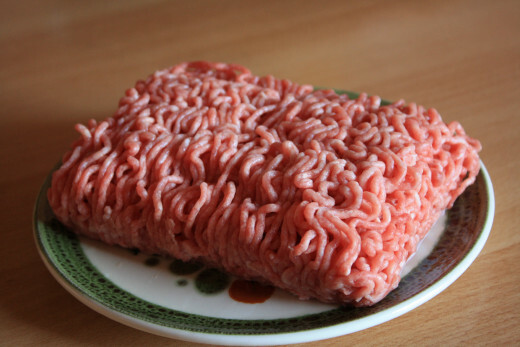 Have you ever tried it with ground-up German sausages. That would add a new twist to it. Voting this Up and Useful. Thanks Movie Master for stopping by. Your comment is highly appreciated. Have a great day! Thank you Thelma for this amazing hub, the recipes sound delicious and the photos are fabulous. I enjoyed reading about your family too, voted up! Yep, it´s hard to miss this dish. 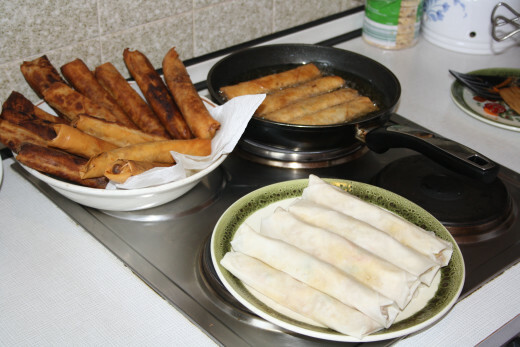 Lumpia or spring rolls are one of our favorites in Asia. Thanks for your comment and for sharing this to others. So long as you cook them well, it is hard to miss with this dish ... in Asia, it amazes me how many people (tourists especially) LOVE to eat spring rolls. Hi Janine! Thanks for dropping by. Yes, try this recipe and tell me how´d you like it. Have a great day! Hi Christy! The recipe is easy to make and you can follow the step by step guide. It will also take you so long to be finish but if you have friends to help you or reduce the amount of ingredients, then you will be spending lesser time than you think. 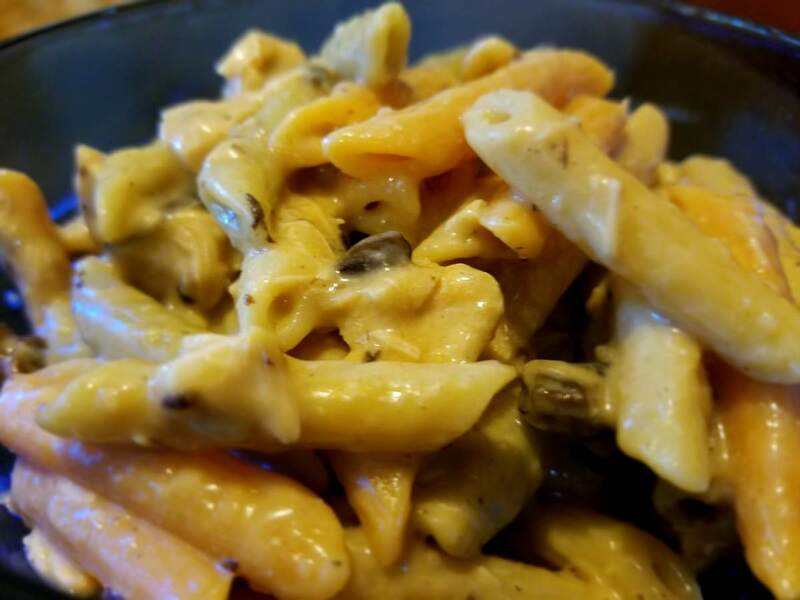 Thanks for coming by and sharing this recipe to others. Wow these sound so yummy and delicious. I have pinned to try in the future and will share and vote up too! Your welcome mts1098. Enjoy making spring rolls. Thanks for stopping by. Have a lovely sunday! Thanks thumbi7. Have a great sunday! Thanks Ron Hawkster for stopping by and sharing my hub to others. Have a great day! Excellent hub with great directions. I love the pictures. Good job. Upped and shared, my friend. Hi tammyswallow! Thanks for your comment and for sharing this hub to others. My late mother used monosodium glutamate or ajinomoto but I don´t do it anymore as I sometimes suffer from headache after eating Asian food with lots of msg.. I´m no longer used to it. It taste also good without it. Have a great weekend! That looks fabulous! I always get these at the Chinese resturaunt but I have never seen a recipe for these before. This has to be so much healthier without all the sodium and msg. Excellent recipe! Thanks for your visit How to-Answers. Yep, having a family picnic at the beach with spring rolls and other delicious food is fun. Enjoy making your banana rolls. Thanks again for sharing this hub to your Twitter account. @chamilj: Thanks for stopping by. 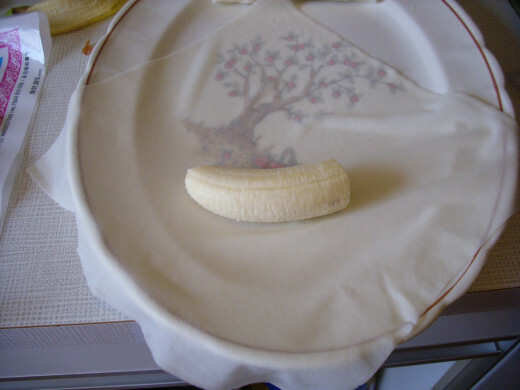 Now, you can make your own banana roll by using my recipe. Have a try. @anusujith: Yes, this is a tasty dish. Have a try and let me know how you like it. Thanks for your visit. Hi RTalloni! Yes, it brings a lot of work but it´s worth it. Thanks for stopping by. Ah a picnic by the beach with the family and home made Crunchy Spring Rolls , sounds great fun. I love the banana rolls and I am going to cook them very soon to see what they taste like. Hi, Fennelseed! I´m glad you love spring rolls and bananas. Well, you can make these recipes for your next family bonding. Enjoy making the spring rolls with your family. Thanks for sharing this hub. Happy cooking! I´m not a chef but I do enjoy cooking especially for my family. I´m glad you like spring rolls. Thanks for your comment. Thank you Mama Kim for stopping by and for following me. Happy cooking! Hi, Julie! You are free to follow the recipe and make your own spring rolls. Happy cooking! Thanks for stopping by. I never seen Banana rolls before. Useful hub. Shared. 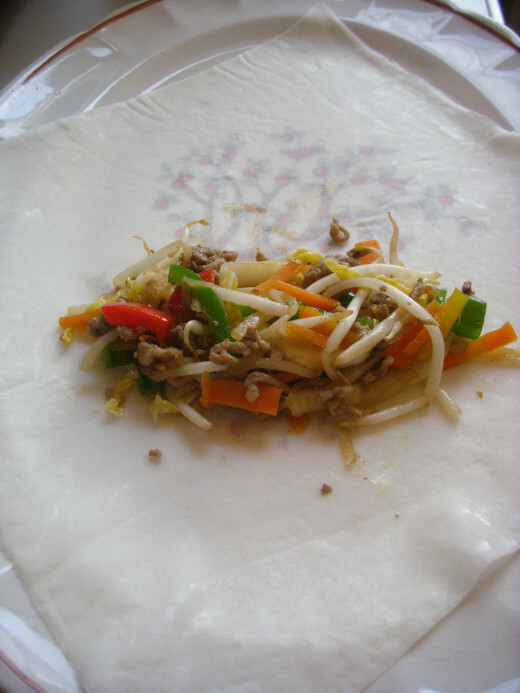 This spring roll recipe looks wonderful and easy to follow. Though they would take some time, they don't look difficult--thanks! Oh Thelma, both these recipes sound amazing. I love spring rolls and these sound delicious and healthy. I also love banana desserts. Once a week my two daughters and their partners come for dinner - these recipes are definitely on the menu!!! And they can help, like you say, and learn to make them for themselves. Saving this one in my recipes folder and sharing, oh, and voting up and awesome!!! Wow! You must be a great chef. Spring rolls are delicious! I actually ate them for the first time at this Thai restaurant that I went to last weekend. 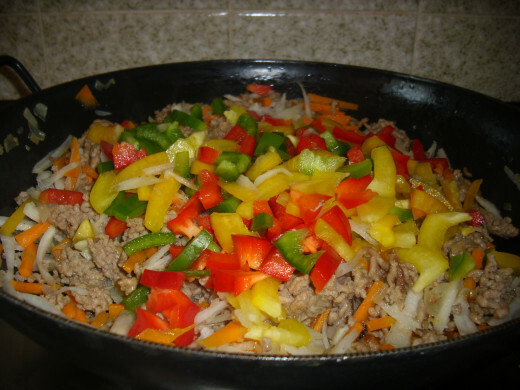 The sauted ground meat with vegetables looks really good. voted up! 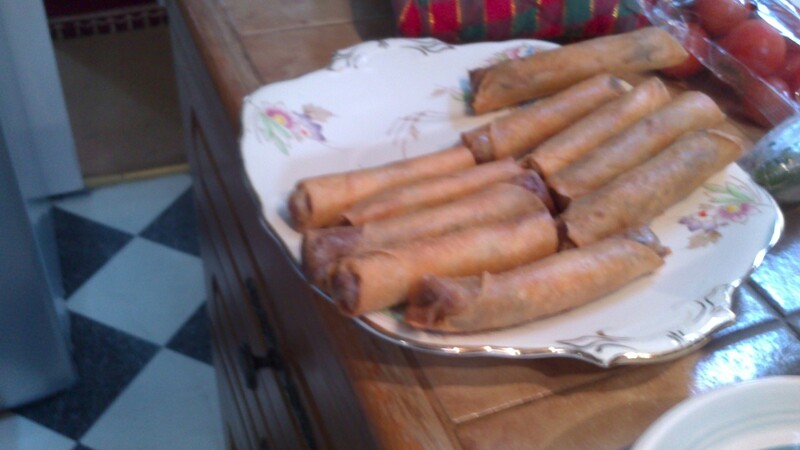 These spring rolls look scrumptiously delicious, Thelma. Thanks for sharing with us your mother, Pedia's, special recipe. I love spring rolls and these sound fabulous. I'm glad you include photos of the wrapping process, which seems the most complicated. Thank you for the family recipe!